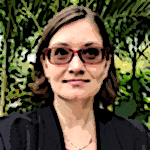 A finding aid is a tool librarians and researchers use to discover, or find, information about a collection of records. The document gives the materials context by including information about the collection, such as an administrative history; scope of the collection, including size, subjects, and media; organization and arrangement; and an inventory of the series and the folders. An inventory for the Archives of the Chicago Horticultural Society is not publicly available at this time. Librarians are available to assist with your research needs. For more information about using archives and finding aids, see the Society of American Archivists' guide, Using Archives: A Guide to Effective Research. See the appendix for an annotated sample finding aid. Archives exist both to preserve historic materials and to make them available for use. This guide addresses the second purpose by outlining the functions and procedures of archives, and is designed both for first-time archives users and scholars who have already conducted research in archives. This annotated model is designed to help define the separate parts of a finding aid and the standard formatting of finding aids in archives. Not all finding aids will incorporate these elements, but this sample should reflect a range of options researchers might encounter in finding aid formats. Housed in the Lenhardt Library, the Archives of the Chicago Horticultural Society holds approximately 250 linear feet of documents pertaining to the history of the Society and the Chicago Botanic Garden. Viewing of unrestricted archival material is by appointment only. Please call (847) 835-8201 or email library@chicagobotanic.org for an appointment for archive-related questions. The records of the Archives of the Chicago Horticultural Society include meeting minutes, agendas, reports, publications, maps, plans, news clippings, photographs, audio and video recordings, correspondence, and administrative files. Records span the years 1890-1904, 1943-present, bulk 1972-present. The Chicago Horticultural Society was incorporated on October 1, 1890 as the Horticultural Society of Chicago. Though its name changed a few times, the Society’s mission remained the same: “encouragement and promotion of the practice of Horticulture in all its branches and the fostering of an increased love of it among the people.” The Society hosted flower shows, garden tours, and classes. Society members supported the Plan of Chicago and were involved in the creation and early management of the Forest Preserve District of Cook County. With the First World War looming on the horizon and despite the abundance of activity or perhaps in part because of it, the Society saw a decline in momentum in 1912 and it appears that the Chicago Horticultural Society was on hiatus until 1945. It was the Victory Gardens of the Second World War that brought the Society back to life with a need for education. Reestablishing itself as the Chicago Horticultural Society and Garden Center, its objectives expanded to specifically include conservation, children’s education, and gardening as community building. The Society began publishing hands-on information and growing tips in their first bulletin and predecessor to Keep Growing, Garden Talks, beginning in 1945, and then continuing from 1953 and released every other month. In 1951, the Woman's Board of the Chicago Horticultural Society established a lending library. Located at the Society's Garden Center downtown location, by 1959 the library contained 584 volumes. However, the Society as a whole still did not have a “proper”, more permanent home, an idea that just never seemed to come to fruition but also never let go even in the earliest days of the Society. It took nearly 80 years to get all the pieces in place. The Skokie Marsh was not the first location considered by the Society—Union Park, Palos, and Grant Park were considered. However, the Society had a hand in the preservation of the Skokie Lagoons from the beginning. The Skokie Marsh, present day Skokie Lagoons, was one of the sites named in a 1904 Special Park Commission report to preserve natural areas for future generations. The Marsh was acquired by the Forest Preserve District of Cook County (FPDCC) in the 1920s and work by the Civilian Conservation Corps began in 1933 to improve issues with flooding by creating a lagoon system. The area became a popular outdoor recreation space where people flocked to hike, bird-watch, sail boats, ride horses, and fish the stocked lakes. It was not until 1962 that Skokie Marsh was identified as a “prime potential site”. The proposal, “Chicago Needs a Botanic Garden” listed the following qualities in support of the Skokie Marsh location: the size of the area, ease of access from Chicago and surrounding areas, protection granted by the expressway to the west and lagoons to the south, filling the cultural void of museums or attractions to the north, future membership growth, and its natural beauty. In June 1963, House Bill No. 1487 passed to allow FPDCC to “prepare and maintain grounds for a botanic garden.” The bill was approved by Governor Otto Kerner in August. The land was to be maintained by the Society and owned by the Forest Preserve. In order to demonstrate support for the project, the Forest Preserve District stipulated that “By January 1, 1966 the Society shall have raised $1,000,000 by private subscriptions.” This was achieved by November 1964 and the contract signed on January 27, 1965. The Pittsburgh-based landscape architecture firm of Simonds and Simonds was commissioned to create the master plan for the site. Over the years, the ever evolving master plan of the garden has consistently featured the interplay of water and land. After months of soil preparation, ground was broken at the garden on September 25, 1965. By 1967 the garden accessioned its first tree — a white fir. The rough grading and water control structures were in place by the end of 1968. And in 1969, clean water filled the lakes, perimeter fencing was installed, and the entrance road and parking were approved by state and county. The Society held an open house on the site in October 1969 and the Midwest Bonsai Society hosted their first exhibition at the garden in 1971. The Chicago Botanic Garden, then known as the Botanic Garden of the Chicago Horticultural Society, officially opened in 1972. By 1976, the Society's then 6,000 volume library had a new home in the Chicago Botanic Garden's Education Center (now called the Regenstein Center). Today, the collections of the Lenhardt Library hold approximately 125,000 volumes including books, periodicals, rare books, special collections, videos, DVDs, slides, nursery catalogs, and the archives of the Chicago Horticultural Society. Since opening in 1972, the Garden's collections and programming have continued to grow. Today the Chicago Botanic Garden has one of the largest memberships of any U.S. botanic garden. People of all ages, interests, and abilities participate in programs, take classes, and stroll the grounds year-round. From nature preschool, to yoga, to graduate research, the garden has something for everyone. The records of the Archives of the Chicago Horticultural Society include meeting minutes, agendas, reports, publications (newsletters, brochures, pamphlets, articles), maps, plans, news clippings, photographs, audio and video recordings, correspondence, and administrative files. Records span the years 1890-1904, 1943-present. The vast majority of the collection consists of materials relating to the Chicago Botanic Garden (1972-present). Materials pertaining to the Chicago Horticultural Society are limited (1890-1904). The records of the Archives of the Chicago Horticultural Society are arranged by subject and by year. The records are arranged into 9 series by subject. Series 0-1, 3-6, and 9-10 are arranged by subject and format. Series 2, original promotional materials created by the Communications Department, is arranged by year beginning with 2004. Series 7 & 8 have been intentionally left empty in anticipation of future growth. Viewing of unrestricted archival material is by appointment only. Please contact the Lenhardt Library before visiting to request access information and to ensure that the materials are available to the public. Please call (847) 835-8201 or email library@chicagobotanic.org for an appointment. Some originals not available due to fragility. Use digital copies available through the Illinois Digital Archives. A selection of the oldest content in the archives has been digitized for preservation and use. Content is uploaded to the Illinois Digital Archives and Explore Chicago Collections as it becomes available. Access the finding aid and digital images from the Archives of the Chicago Horticultural Society. Miscellaneous records of the Horticultural Society of Chicago, 1890-1904. Records include constitution, minutes, financial records, membership rosters, lists of officers, premiums awarded and notices of meetings; various announcements, passes and membership cards affixed to endpapers; typed or printed matter and contemporary newspaper articles affixed to pages or loosely inserted. Founded on October 1, 1890, the Horticultural Society of Chicago, known today as the Chicago Horticultural Society, was dedicated to the encouragement and promotion of the practice of horticulture in all its branches and the fostering of an increased love of it among the people. The Chicago Horticultural Society operates the Chicago Botanic Garden, which opened in 1972 and is one of the world's great living museums. Various Chicago institutions hold records pertaining to the Chicago Horticultural Society. The most notable are the Chicago Horticultural Society Records at the Chicago History Museum and the Forest Preserve District of Cook County Records at the University of Illinois at Chicago. Other collections found through the Chicago Collections Consortium's Explore Chicago Collections portal may contain personal papers or records related to the Society. Chicago Horticultural Society records, 1901-1916. The Chicago History Museum holds the Chicago Horticultural Society records from 1901-1916. Find collections across Chicago related to the Chicago Horticultural Society. The University of Illinois at Chicago is home to the records of the Forest Preserve District of Cook County. A selection of recent books published by or with the Chicago Botanic Garden. 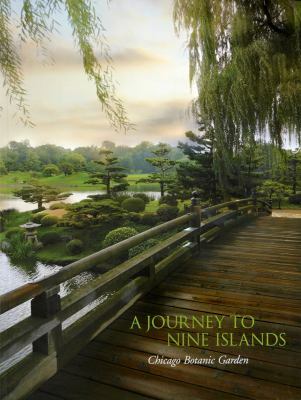 These books contain accurate information about the Chicago Botanic Garden and photographs capturing the garden, its collections, and displays. Chicago Botanic Garden. A journey to nine islands: Chicago Botanic Garden. Glencoe, Illinois: Chicago Botanic Garden, 2007. Accompanied by charming and accessible text, the floral centerfolds of Journey to Nine Islands invite the reader to participate in the world of the Chicago Botanic Garden—one of the nation’s most visited public gardens and a preeminent center for learning and plant science. This remarkable volume showcases these lush and extraordinary gardens with 96 pages of beautifully reproduced full-color photography—capturing images from Chicago Botanic Garden sites as diverse as the English Oak Meadow, the Rose Garden, the Prairie, and the exquisite Heritage Garden. The breathtaking images featured in this volume represent only a small portion of the stunning blooms on view year-round at the Botanic Garden—a magisterial landscape that changes with the seasons, welcoming plants like the late-blooming sawtooth sunflower in the early autumn and the panicle hydrangea in the heat of midsummer. A fascinating read for the weekend gardener, a thoughtful gift for your favorite flower lover, and beautiful, portable reference to the wonders of this urban oasis, Journey to Nine Islands is an impeccable companion to this national treasure. Chicago Botanic Garden. Wonderland Express at the Chicago Botanic Garden. Glencoe, Illinois: Chicago Botanic Garden, 2007. 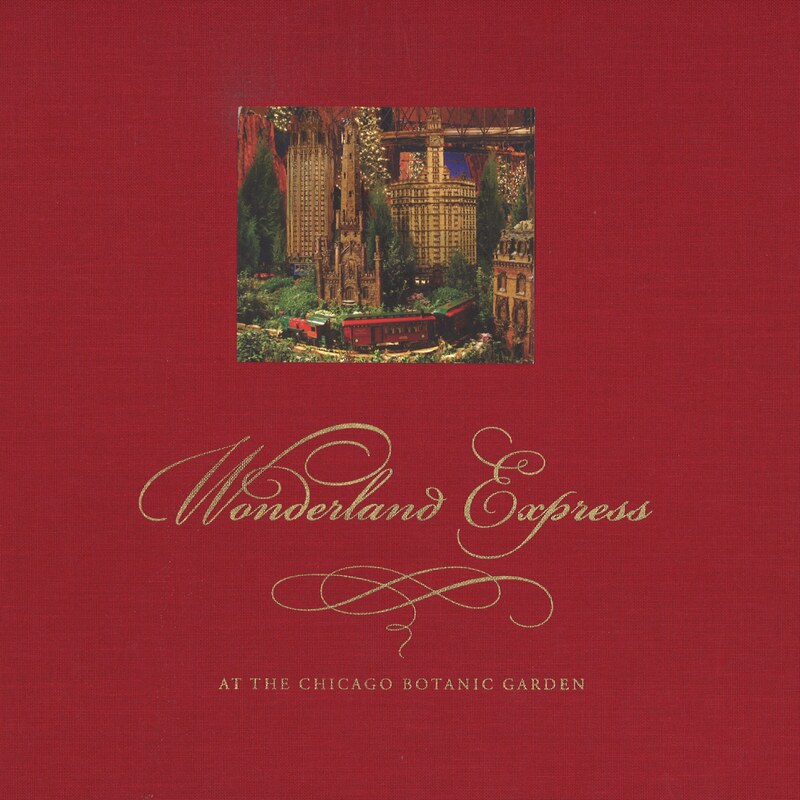 In 2006, the Garden developed a new exhibition destined to become a family holiday tradition, Wonderland Express. This indoor railroad garden, alive with whistling trains and cascading waterfalls, is landscaped with miniature and full-scale plants and flowers. The exhibition features familiar Chicago landmarks, intricately handcrafted from plant materials gathered from around the world. Maloney, Cathy Jean. 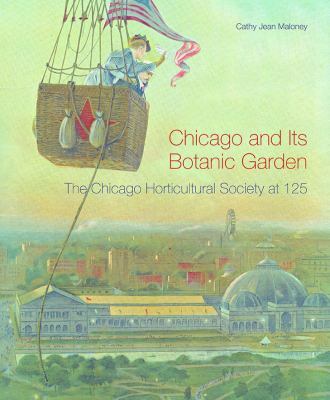 Chicago and Its Botanic Garden: The Chicago Horticultural Society at 125. Evanston, Illinois: Northwestern University Press: Chicago Botanic Garden, 2015. Formed in 1890, during the heady days before the 1893 World’s Columbian Exposition, the Chicago Horticultural Society boasted members with names deeply rooted in Chicago history: Buckingham, McCormick, and Palmer, among others. Today, as it leads the Garden in a model public-private partnership with the Forest Preserves of Cook County, the Society’s horticultural practices have exceeded the vision of its founders. Chicago and Its Botanic Garden: The Chicago Horticultural Society at 125 is a lushly illustrated and thoughtful history of the Society and its evolution from a producer of monumental flower and botanical shows, through a fallow period, to the opening in 1972 of the Chicago Botanic Garden, a living museum and world leader in horticulture, plant science and conservation, education, and urban agriculture. Author Cathy Jean Maloney combines meticulous scholarship with a flair for storytelling in a narrative that will delight everyone from casual strollers of the grounds to the volunteers, professionals, and scientists who compose the influential society. Nakamura, Susumu, Ivan Watters, Terry Ann R. Neff, and Tim Priest. Bonsai: a patient art: The Bonsai Collection of the Chicago Botanic Garden. Glencoe, Illinois: Chicago Botanic Garden in association with Yale University Press, 2012. 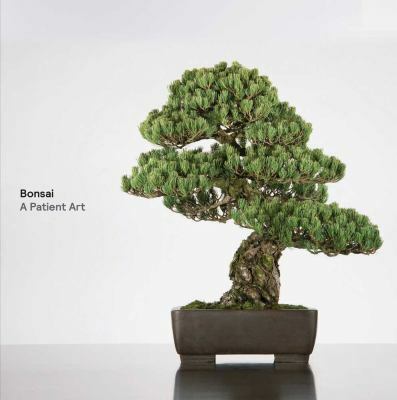 With fresh, elegant photography, this stunning volume presents more than sixty living bonsai masterpieces from the renowned collection of the Chicago Botanic Garden. Each patiently nurtured tree is presented at the peak of its seasonal beauty; each embodies the quiet energy and beauty of the art of bonsai. In an engaging opening essay, the book introduces the practice and philosophy of bonsai, its spiritual resonance, and its horticultural sophistication. Then alongside each tree's portrait, is a short, thoughtful discussion of the species and style of the tree as well as its individual history and character. Readers will cherish this superbly conceived and designed book while gaining a new appreciation for the living masterpieces that inspired it. Forest Preserve District of Cook County, Illinois (Ill.). Regenstein Center (formerly known as the Education Building). Visitor Center (formerly known as the Gateway Center). School of the Chicago Botanic Garden.